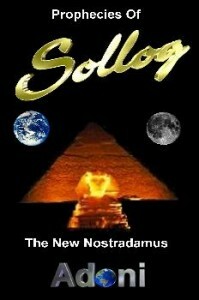 For over 20 years the famous Prophecies of Sollog have amazed his legion of fans around the world making Sollog one of the most written about people in the early history of the Net. The Sollog Solstice Lines and Pentagram of Blood are having hit after hit establishing Sollog as the greatest PROPHET to ever walk the earth. The famous Sollog 911 Warning was a major historic hit for Sollog easily establishing Sollog as the greatest seer to ever walk the earth. Now we are living in the age of Prophecy when the Sollog Prophecies are having historic hit after historic hit.